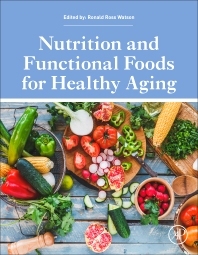 Nutrition and Functional Foods for Healthy Aging aims to equip anyone studying geriatric nutrition or working with aging adults with the latest scientific reviews of critical topics. The major objective of this book is to review, in detail, the health problems of the aged and how normal food, lifestyle, or nutritional and dietary supplements can help treat them. Nutrient requirements for optimum health and function of aging physiological systems are often quite distinct from those required for young people. The special nutrition problems of the aged are intensively researched and tested, especially as the elderly become a larger percentage of the population. Many chronic diseases and cancers are found with higher frequency in the aged, and it is also widely known that many elderly people use foods and nutrients well above the recommended daily allowance, which can be detrimental to optimal health. Do Levels of CoQ Decrease During Aging? Food Choices for the Elderly: Are These Good for Healthy Aging?